Don't Be Stupid. Allow people to correct you. It is very difficult to respond well to a person who corrects you. Even if we know they love us (and if we know they are right), it still hurts to feel we don’t measure up. Ironically, most of us regularly acknowledge that we are sinful people who have missed the mark God set for us. Yet, for some reason we are often more sensitive to the suggestion that we fall short of other’s standards than we are about falling short of the God's standard. Four main characters play the starring roles in the book of Proverbs. The wise man, the simple man, the fool, and the mocker are symbolic figures who serve as representatives of different types of people and/or four behaviors to which we all are prone. Of these four, the mocker is the “villain”. According to Proverbs, the mocker should be punished, ignored, and “driven out”. One verse even suggests that God laughs at the proud mocker. Of all the wicked characters in the Bible, the mocker is one of the worst. In Proverbs 9, the mocker is identified by his reaction to correction. His response is violent. He insults, abuses, and hates anyone who suggests he has done something wrong. Proverbs doesn’t paint a very pretty picture of the mocker, but it might be a fairly accurate picture of our response to correction. It’s actually very simple. Love the people who criticize you. Welcome correction. Allow confrontation to shape you not to anger you. View criticism as a growth stimulant. Choose to appreciate those who correct you. Reacting in anger to those who confront you is stupid. 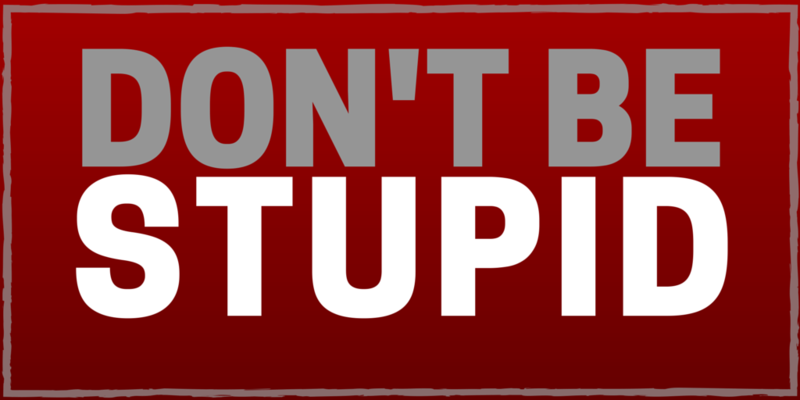 Don’t be stupid.